All remote-sensing systems designed to monitor the earth's surface rely on energy that is either diffusely reflected by or emitted from surface features. Current remote-sensing systems fall into three categories on the basis of the source of the EMR and the relevant interactions of that energy with the surface. These sensor systems detect solar radiation that has been diffusely reflected (scattered) upward from surface features. The wavelength ranges that provide useful information include the ultraviolet, visible, near-infrared, and middle-infrared ranges. Reflected solar-sensing systems discriminate materials that have differing patterns of wavelength-specific absorption, which relate to the chemical makeup and physical structure of the material. Because they depend on sunlight as a source, these systems can provide useful images only during daylight hours. Changing atmospheric conditions and changes in illumination with time of day and season can pose interpretive problems. Cloud cover is a particular problem. Reflected solar remote-sensing systems are the most common type used to monitor earth resources. Sensors that can detect the thermal infrared radiation emitted by surface features can reveal information about the thermal properties of these materials. Because the temperature of surface features changes during the day, thermal infrared sensing systems are sensitive to the time of day at which the images are acquired. Rather than relying on a natural source, these systems "illuminate" the surface with broadcast microwave radiation, then measure the energy that is diffusely reflected back to the sensor. 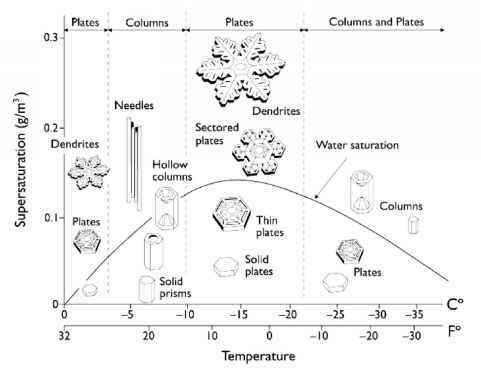 The returning energy provides information about the surface roughness and water content of surface materials and the shape of the land surface. Long-wavelength microwaves suffer little scattering in the atmosphere, even penetrating thick cloud cover. Imaging radar is therefore particularly useful in cloud-prone tropical regions. Remote-sensing instruments are either active or passive, and they are further divided into scanning and pointing instruments, with scanning instruments being the most commonly used. Also, remote-sensing instruments are typically multispectral, that is, they detect multiple wavelengths of radiation. A remote-sensing instrument that transmits its own electromagnetic radiation to detect an object or to scan an area for observation and receives the reflected or backscattered radiation is called an active instrument. Examples are radars, scatterometers, and lidars. • Radar (radio detection and ranging): Radar uses a transmitter operating at either radio or microwave frequencies to emit electromagnetic radiation and a directional antenna or receiver to measure the reflection or backscattering of radiation from distant objects. Distance to the object can be determined because electromagnetic radiation propagates at the speed of light. • Scatterometer: A scatterometer is radar that measures the backscatter-ing coefficient of the surface of the viewed object. The backscattering coefficient can be used to define surface characteristics such as surface roughness, moisture content, and dielectric properties. Over ocean surfaces, measurements of the backscattering coefficient in the microwave spectral region can be used to derive maps of surface wind speed and direction. • Lidar (light detection and ranging): A lidar uses a laser (light amplification by stimulated emission of radiation) to transmit a light pulse and a receiver with sensitive detectors to measure the backscattered or reflected light. Distance to the object is determined by recording the time between the transmitted and backscattered pulses and using the speed of light to calculate the distance traveled. Lidars can determine the profile of aerosols, clouds, and other constituents in the atmosphere. • Laser altimeter: A laser altimeter uses a lidar to measure the altitude of the instrument platform by measuring the distance to the surface below. By independently knowing the location of the platform, the topography of the underlying surface can be determined. Passive instruments sense only radiation emitted by the object being viewed or reflected by the object from a source other than the instrument. Reflected sunlight is the most common external source of radiation sensed by passive instruments. Various types of passive instruments are used, including radiometers and spectrometers. • Radiometer: This instrument quantitatively measures the intensity of electromagnetic radiation in some bands of wavelengths in the spectrum. Usually a radiometer is further identified by the portion of the spectrum it covers, for example, visible, infrared, or microwave. • Imaging radiometer: A radiometer includes a scanning capability to provide a two-dimensional array of pixels from which an image may be produced. An array of detectors can perform scanning mechanically or electronically. • Spectroradiometer (spectrometer): A spectrometer has the capability for measuring radiation in many wavelength bands (i.e., multispec-tral), often with bands of relatively high spectral resolution designed for the remote sensing of specific parameters such as sea surface temperature, cloud characteristics, ocean color, vegetation, and trace chemical species in the atmosphere. • Imaging spectrometer: Hyperspectral images are produced by instruments called imaging spectrometers. The development of these complex sensors has involved the convergence of two related but distinct technologies: remote imaging of the earth and planetary surfaces and spectroscopy. Spectroscopy is the study of light that is emitted by or reflected from materials and its variation in energy with wavelength. As applied to the field of optical remote sensing, spectroscopy deals with the spectrum of sunlight that is diffusely reflected (scattered) by materials at the earth's surface. Spectrometers (or spectroradiometers) are used to make ground-based or laboratory measurements of the light reflected from test materials. An optical dispersing element such as a grating or prism in the spectrometer splits this light into many narrow adjacent wavelength bands, and a separate detector measures the energy in each band (Figure 7.4). By using hundreds or even thousands of detectors, spectrometers can make spectral measurements of bands as narrow as 0.01 jam over a wide wavelength range, at least 0.4 to 2.4 nm (visible through middle infrared wavelength ranges). Remote sensors are designed to focus and measure the light reflected from many ad jacent areas on the earth's surface. In many sensors, sequential measurements of small areas are made in a consistent geometric pattern as the sensor platform moves, and subsequent processing is required to assemble them into an image. Until recently, sensors were restricted to one or a few relatively broad wavelength bands by limitations of detector designs and the requirements of data storage, transmission, and processing. Recent advances in these areas have allowed the design of remote sensors that have spectral ranges and resolutions comparable to ground-based spectrometers.